AWA's sojourns are a six-day journey where first-time visitors and Florence veterans get the best of the city's art and culture. AWA’s travel extravaganza ends after six days of art-filled memories. AWA’s Cultural Sojourn entitled ‘Florence thru the Ages’ saw the participation of 22 art lovers from all over the United States, who spent a week discovering the city’s treasures. Highlights of the 2015 edition included a behind-the-scenes visit to the Opificio delle Pietre Dure and the National Library’s restoration lab. 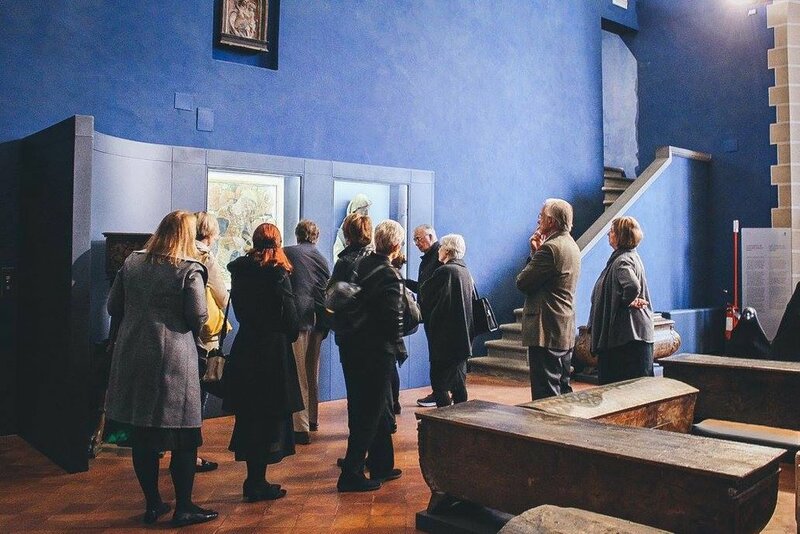 Sojourners made innumerable art discoveries in Florence’s loveliest venues like the Bardini Museum and the Santa Maria Novella Museum. A banquet dinner in the Pitti Palace’s famed Sala del Fiorino followed an exclusive, after-hours tour of the venue’s Modern Art Gallery.